Kimberly-Clark, based in Irving, TX, is a consumer goods company that offers products for essential needs under the brands of Andrex, Cottonelle, Depend, Huggies, Kleenex, Plenitude, Poise, Scott and U by Kotex. For almost 150 years, Kimberly-Clark's mission has been to innovate products that better meet the needs of consumers. Today, the company has more than 43,000 employees and its brands are sold in more than 175 countries. AdvoCare provides innovative nutritional, weight-management and sports performance products such as vitamin supplements and nutritional products. It is a family-owned company founded in 1993 and is headquartered in Plano, Texas. Backed by the most credible scientific research, the company provides high quality products that are effective and safe to use. Its products are marketed by over 50,000 independent distributors all over the world. US News & World Report ranked Texas Children's Hospital #4 amongst 200 pediatric hospitals in the nation for nine consecutive years. Texas Health Resources is one of the largest faith-based, nonprofit health systems in the United States and the largest in North Texas in terms of inpatients and outpatients served. Vizient, (the new brand identity for VHA) is the largest member-driven health care performance improvement company in the US that serves thousands of health care organizations across the nation, such as acute care hospitals, academic medical centers, non-acute community health care providers and pediatric facilities. Its mission is to help members adopt world-class practices and solutions and balance the demands of clinical care and financial performance. The University of Texas MD Anderson Cancer Center is one of the original three comprehensive cancer centers in the United States. CHI St. Joseph Health is recognized as the region's leader in healthcare services with 5 hospitals, 2 long-term care facilities, & 30 + clinics in the Brazos Valley. CHRISTUS Health is a Catholic, not-for-profit system made up of more than 600 centers, including long-term care facilities, community hospitals, walk-in clinics and health ministries. With over 15,000 physician, CHRISTUS aims to provide individualized care to every patient. CHRISTUS Health is located in Irving, TX. The company has more than 640 patient care centers located in 45 states and the District of Columbia. Integer Holdings Corporation operates as a medical device outsource manufacturer worldwide. It operates through two segments, Medical and Non-Medical. The company offers arthroscopic devices and components, such as shaver blades and burrs, ablation probes, and suture anchors; laparoscopic and general surgery products, including trocars, endoscopes and laparoscopes, closure devices, harmonic scalpels, bipolar energy delivery devices, radio frequency probes, thermal tumor ablation devices, and ophthalmic surgery devices; and biopsy and drug delivery products. It also provides orthopedic products, including hip and shoulder joint reconstruction implants, plates, screws, and spinal devices, as well as instruments and delivery systems. In addition, the company provides products for vascular, cardiac surgery, and structural heart diseases; peripheral vascular, neurovascular, urology, and oncology products; and electrophysiology, infusion therapy, and hemodialysis products. Further, it offers cardiac and neuromodulation products, such as batteries, capacitors, filtered and unfiltered feedthroughs, engineered components, implantable stimulation leads, and enclosures; pacemakers, implantable cardiac defibrillators, cardiac resynchronization therapy devices, implantable cardiac monitors, and other implantable devices; and neuromodulation medical devices. Additionally, it offers customized battery power and management systems, charging and docking stations, and power supplies for energy, military, and environmental markets. It serves cardiac, neuromodulation, orthopedics, vascular, and advanced surgical markets, as well as multi-national original equipment manufacturers and their affiliated subsidiaries. The company was formerly known as Greatbatch, Inc. and changed its name to Integer Holdings Corporation in July 2016. The company was founded in 1970 and is headquartered in Frisco, Texas. Mannatech is a multinational multi-level marketing firm that sells dietary supplements and personal care products, with a history of false claims and lawsuits. Your Trainer delivers you the best and most affordable personal trainers, plus allows you access to trainers at top gyms and studios without a membership. US Renal Care clinics provide in-center and at-home hemodialysis and peritoneal dialysis services for end stage renal disease. Founded in 2000 in Plano, TX, the company serves more than 23,000 patients across 31 states and the Territory of Guam. US Renal Care partners with the best nephrologists in the country which results in excellent patient outcomes and the best service available. Concentra Inc., is a national health care company founded in 1979 in Amarillo, Texas. We at Daybreak are committed to providing the highest quality of care for the residents in our homes. Lakeway Regional Medical Center, LLC operates as a hospital. The company offers services in various specialties, such as emergency, heart care, lung health, spine care, orthopedics, labor and delivery, rehabilitation, radiology, laboratory, surgery, family practice, outpatient nutrition, and other services. It serves residents in the Texas Hill Country. The company was founded in 2012 and is based in Lakeway, Texas. As of September 1, 2016, Lakeway Regional Medical Center, LLC operates as a subsidiary of Baylor Scott & White Health LLC. Epic provides pediatric skilled nursing, pediatric therapy, and behavioral health and autism services, as well as adult home health care services. Methodist Health System is a renowned network of acute-care and teaching hospitals and medical centers in North Texas and Dallas. We treat patients like family. Official account for JPS Health Network and John Peter Smith Hospital in Fort Worth. Account not monitored on a 24 hour basis. Call 9-1-1 in an emergency. NorthStar partners with hospital administrators to provide outsourced anesthesia services for operational efficiency, cost savings and better clinical outcomes. Medical City Dallas Hospital is a full-service, 668-bed tertiary care center consisting of more than 1,150 physicians and offering nearly 100 specialties. South Texas Health System is a hospital system including five acute and one behavioral hospital, serving the Rio Grande Valley community. Harden Healthcare, LLC owns and operates senior care facilities in the United States. The company offers home health services for home-based patients, which include a range of skilled nursing services from the management of complex diseases to physical, occupational, and speech therapy and personal care services; hospice care services that include end-of-life care support focusing on enhancing the quality of life for patients and their families; and long-term care services that include rehabilitation and assisted living services in patient-friendly environments. Harden Healthcare, LLC also offers pharmacy services; and community care services for patients with chronic or long-term disabilities and who need help with routine personal care. The company was founded in 2001 and is based in Austin, Texas. Harden Healthcare, LLC operates as a subsidiary of Harden Healthcare Holdings, LLC. TrailBlazer Health Enterprises, LLC provides medicare contractor services. The company administers the medicare program under contracting arrangements with the Centers for Medicare & Medicaid Services (CMS). It develops various publications, such as forms, job aids, manuals, newsletters, and other types of educational materials to keep providers abreast of fundamental national and local Medicare policies, programs, and procedures. The company was founded in 1966 and is based in Dallas, Texas. It operates an operational office in Denison, Texas, and a field audit office in San Antonio, Texas. As of October 4, 1999, TrailBlazer Health Enterprises, LLC operates as a subsidiary of BlueCross BlueShield of South Carolina, Inc.
Bayshore Medical Center is a full-service acute care hospital and emergency room in Pasadena, TX that employs 250 physicians and houses 345 beds. A membership to a curated list of the best fitness studios. Membership includes access to a variety of classes - Pilates, Boxing, Yoga, Spin, Barre and more. Numed Inc. provides modular MRI leasing and mobile nuclear medicine services for radiology practitioners. Blockit, Inc. operates an appointment scheduling platform that enables physicians to manage appointments with patients and partners-in-care. Its mission is to connect the systems, create transparency and empower a patient-centric communication platform and remove the scheduling barriers to effective patient care. The company was founded in 2016 and is based in McKinney, TX. USMD Holdings, Inc., an early-stage physician-led integrated health system, provides healthcare services to patients in physician clinics, hospitals, cancer treatment centers, and anatomical pathology and clinical laboratories in the United States. It also provides management and operational services to two general acute care hospitals in Arlington and Fort Worth, Texas; and management and/or operational services to three cancer treatment centers in three states. In addition, the company owns and operates one independent diagnostic testing facility, one cancer treatment center, two clinical laboratories, one anatomical pathology laboratory, and one multi-specialty physician group practice in the Dallas-Fort Worth, Texas metropolitan area. Further, it offers managed entities with management, information technology, operations, and/or revenue cycle support services; and provision of healthcare information technology consulting services to third parties. The company is headquartered in Irving, Texas. USMD Holdings, Inc. is a subsidiary of UANT Ventures, L.P. As of September 30, 2016, USMD Holdings, Inc. operates as a subsidiary of WellMed Medical Management Inc..
ONR is recognized as one of the nation's leading quality contract long-term care rehabilitation companies providing a complete range of Physical Therapy, Occupational Therapy and Speech-Language Pathology services. As of July 13, 2016, LDR Holding Corporation operates as a subsidiary of Zimmer Biomet Holdings, Inc.
C.H. Guenther & Son, Inc. produces and supplies grain-based products. The company offers gravies and sauces, baking mixes, and other value-added grain-based food products. It also provides kits and corn bread mixes, flours, cornmeals, and tortilla mixes; cheesecakes, cakes, tortes, mousse cakes, and dessert squares; biscuit, gravy, pancake and waffle, and other mixes; seasonings and soup mixes; and spicy wings. It serves food service and consumer markets in North America and Europe. C.H. Guenther & Son, Inc. was formerly known as C.H. Guenther & Sons and changed its name to C.H. Guenther & Son, Inc. in 1894. The company was founded in 1851 and is based in San Antonio, Texas. 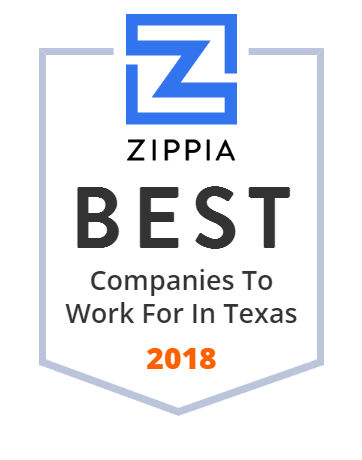 TPC has consistently ranked higher than its competitors in providing an excellent patient experience for our patient family in the Brazos Valley. Examination Management Services, Inc. provides medical information services to health plans, life and property/casualty insurers, brokerage agencies, and employers in the United States and internationally. The company offers medical information retrieval services that include APS retrieval, claims retrieval, data research, and prescription drug profiles; inspection services, which include eSearch services and applicant interviews; insurance exams, such as paramedical exams, IGO services, physician exams, senior assessments, and ScheduleEZ; and underwriting solutions. It also provides application fulfillment services, such as IGO App, a life insurance application; IGO Exam, a transformational service that shortens processing cycle times, reduces manual errors, creates an audit trail for regulatory compliance, and shortens the onsite physical exam; IGO Mobile, a streamlined paramedical exam service; point of sale interviews; and SmartScript services. In addition, the company offers APS summaries; and document retrieval, claim investigations, medical testing, investigation, and surveillance services. Examination Management Services, Inc. was founded in 1974 and is headquartered in Irving, Texas. Actionable insights from verbatim patient feedback. Root-cause analysis informing your org exactly what's needed to improve scores, revenue and turnover. Texas Oncology is one of the largest cancer treatment and research providers in Texas specializing in hematology, pediatric and radiation oncology and more. Legacy identifies unmet needs and gaps in health-related services and develops client-centered programs to address those needs. Learn more today. St. Luke's The Woodlands Hospital operates as a general medical and surgical hospital. St. Luke's The Woodlands Hospital was founded in 2003 and is based in The Woodlands, Texas. MRI Group provides high quality MRI scans and CT services in Lancaster and Chester Counties. Titan Fitness, LLC owns and operates health clubs in North Carolina, Texas, and Nevada. The company was founded in 2007 and is based in McLean, Virginia. The company has locations in Raleigh, Cary, Charlotte, Indian Trail, Cornelius, Durham, and Greenville, North Carolina; Reno and Sparks, Nevada; and Arlington, Baytown, Allen, Irving, Houston, Pasadena, Sugarland, and Woodlands, Texas. Dallas Nephrology Associates (DNA) is a national kidney care leader with 22 office practices in the Dallas/Fort Worth Metroplex and Puerto Rico. Need a proven behavioral health management company to improve your mental health services? From behavioral health unit renovation to contract management, we can help! College Station Hospital, L.P. operates as a subsidiary of Community Health Systems, Inc.
SA Elder Care is a searchable database that aims to help you and your loved one find the best San Antonio assisted living solution to suit your needs. The Kelsey-Seybold Clinic is a large multi-specialty clinic system located in Greater Houston with its administrative headquarters in Shadow Creek Ranch, Pearland. If you or a loved one are recovering from illness or surgery, we're here to help you achieve your highest functioning level. From short-term rehabilitation to long-term skilled nursing, there's a Golden LivingCenter to meet your needs. Cornerstone Healthcare Group delivers superior patient care & treatment services nationwide across the US in our specialty hospitals, senior living communities, & behavioral health therapy locations. Contact us to learn more. The Dallas World Aquarium is a for-profit aquarium and zoo located in the West End Historic District of downtown Dallas, Texas, USA. LifeCare Health Partners is a leading healthcare services provider dedicated to improving the quality of life for patients.